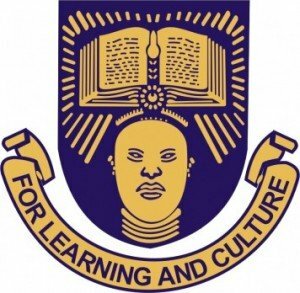 The Obafemi Awolowo University (OAU) Freshers Registration and Screening Procedures for the 2018/2019 academic session has been released. 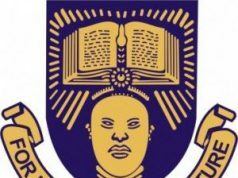 Following the released of the Obafemi Awolowo University (OAU) admission list, the management of the university has released the online screening procedures for the 2018/2019 academic session newly admitted candidates. SEE ALSO: OAU Acceptance Fee for 2018/2019. Candidates who have been offered admission should upload their Academic Credentials and their Birth Certificate/Swom Declaration of Age. Each candidate will be required to print and submit his/her online Clearance Certificate, as downloaded, to the Faculty Secretary. They will also be required to present the print- out of the certificate form, hard copies of Academic Credentials, Birth Certificate, JAMB Admission letter for further screening on resumption. All credential screening will be done on-line. All freshmen are expected to complete their credential screenings before they come to campus on April 9, 2019 when the 2018/2019 Session will commence. SEE ALSO: OAU School Fees Schedule. Log on to the University Student Information Portal (http://eportal.oauife.edu.ng) using your Registration Number and the Password you used last on the portal. Upload your scanned School Certificate Result(s) latest by 7th March, 2019. Complete the following forms correctly on the ePortal (http://eportal.oauife.edu.ng). a. Successful filling of forms (i). (ii) and (iii) above. b. Payment of appropriate Charges at the banks. E-mail:- computercentre@oauife.edu.ng can be used as well. Please note that only 2000 spaces are available for each of the Special Electives except SER 001 and LIB 001, which are compulsory for all Fresh Students. Submit the third copy to the Hall Warden to qualify him/her to OCCUPY the bed space allocated. Please note that failure to submit the Bed Space Clearance Forms as stipulated automatically disqualifies the Bed Space Allocation. Apart from fresh undergraduate students, final year students are also given priority in the allocation of bed spaces. Other spaces available (if any) will be balloted for. Fresh and undergraduate students should note that these bed spaces are on “First Come First Served” basis.